Эй вейперы! Распродажа на День матери от efun с 8 по 16 мая. Переходите по ссылке, чтобы проверить лучшие предложения! Кроме того, мы предлагаем 1 бесплатный пункт для вас, чтобы захватить в GMT+8 6 РМ с 8 ~по 16(кроме выходных). Почти GMT+8 6PM! Поспешите схватить товар и удачи вам! Перешел по ссылке, положил в корзину Wotofo Serpent Alto, цена 30,99, а не 0$. Что я делаю не так? P.S. Даже 31.99, так как доступен только черный цвет, который стоит на 1$ дороже. Passed by reference, I put in a basket Wotofo Serpent Alto, price 30.99, not $ 0. What am I doing wrong? PS Even 31.99, as available only black, which costs $ 1 more. 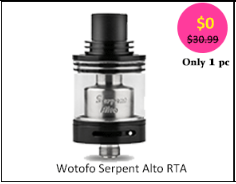 Hi，Wotofo Serpent Alto is a item for mother's day, we will offer one free item to the customer at GMT + August 6 PM. The item may be grabbed by other lucky guy, so it restored the original price. 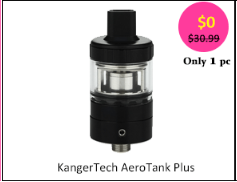 You can catch the last time to grab the 2ml KangerTech the Aero Tank Plus at GMT + August 6 PM, good luck to you! I too, followed your link for Wotofo Serpent Alto. Not only it wasn't free, it is out of stock also. I too, followed your link for Wotofo Serpent Alto. Not only it was not free, it is out of stock also. sorry, the items were sold out yesterday. Off-course. Only yesterday was May 14-th, here in the States. Off-course. Yesterday was May Only 14- th , here in the States.